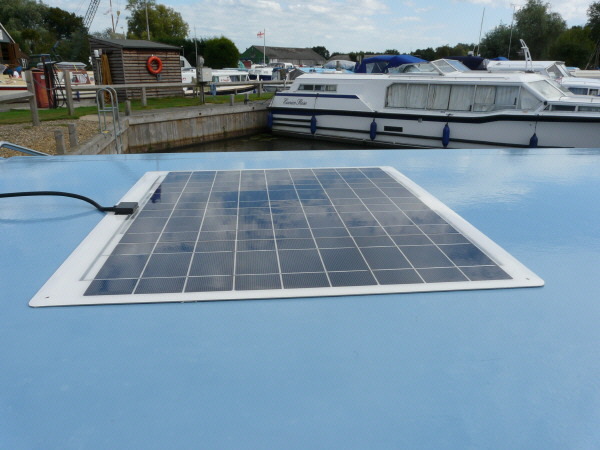 Our range of marine solar modules have been designed to provide a high level of performance in the harshest of conditions giving you full or a supplementary power supply to keep your batteries in a healthy condition at all times. Whether you are day cruising or on the high seas. These robust, light weight modules are also ideal for numerous applications including motorhomes and caravans where they can be bonded straight to the roof and provide a flush, discrete mounting. Heavy duty twin core cable black & red cable. Our range of marine solar modules have been designed to provide a high level of performance in the harshest of conditions giving you full or a supplementary power supply to keep your batteries in a healthy condition at all times. Whether you are day cruising or on the high seas. The Sunshine Marine solar modules are made of high-grade aluminium and are multi-designed, thin and light.